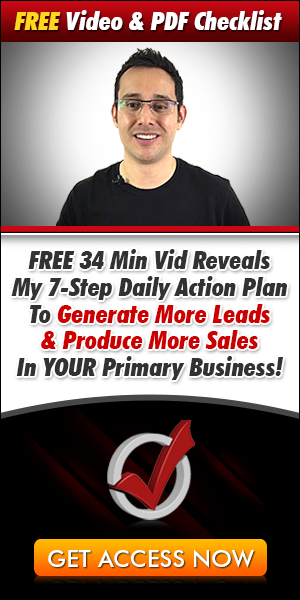 Do you want to recruit more reps into your business? How would you like some MLM Recruiting Secrets to sign up 5 new members in 7 days? 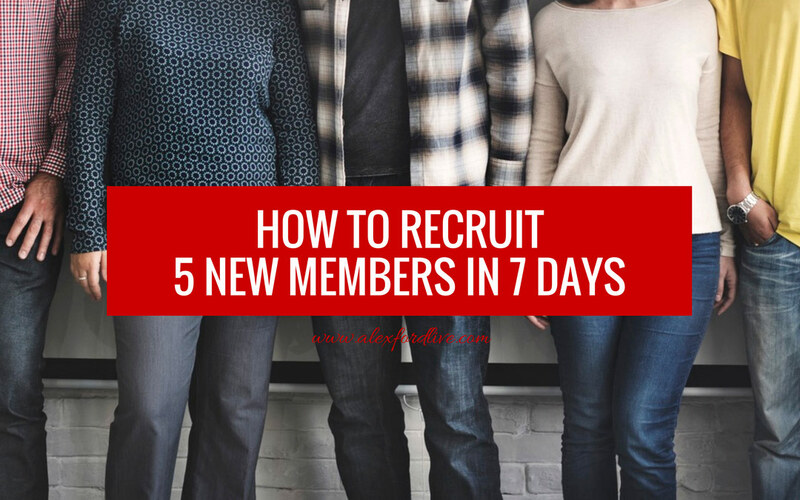 In this post and video, I’m going to share with you exactly how I recruited 5 new members into my organisation in 7 days, and how you can do the same. It’s funny that many network marketers go: “Wow! 5 new members in 7 days is a lot!” And compared to industry average results, it is. In fact, it blew my mind when it first happened to me. But after it happened, I realised that it was actually pretty easy, especially once you have the right MLM recruiting skills. I’ll share some of those skills with you in a moment. But first, let me share with you what doesn’t work. Many network marketers, try to build their businesses by pitching their business opportunity and products all over Facebook. Unfortunately, this doesn’t work because it looks spammy and it turns most people off. Others will network on Facebook, making new friends and speaking to them over Facebook Chat. But as soon as they connect with new people, they will spew all over them with how good their opportunity, products and services are. They’ll say things like: “This is the best opportunity on the planet, it’s ground-floor, we have the best products ever, we have the best comp plan, it’s going to make you rich, spew, spew, spew” LOL. One of the biggest problems with this is that A LOT of network marketers are doing this exact same strategy, and that’s why it puts people off. Plus, there’s no relationship being built or trust created. If you’re currently implementing any of these strategies, that’s ok. We’ve all been there. 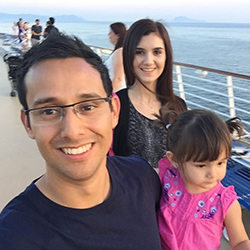 In fact, I used to do some of that too before I learned powerful marketing, prospecting, and recruiting skills; some of which I’m about to share with you. But first, just so you know, this is something that can happen relatively quickly. It will require some work in the beginning. But if you’re committed to making it happen, and you’re consistent, you could get there within a few weeks. Seriously. It’s so important that on a daily basis you’re growing your audience. This could mean just growing the number of people on your Facebook friends list, but people you feel you have a connection with. There’s nothing better that a friends list of pre-qualified prospects. Growing your audience also means that you’ll have people you can build relationships with, people that will get to know, like and trust you, and eventually LOVE you. And once they love you, you can put an offer out for your business… and BOOM! You’ll have multiple people that will want to buy your stuff or join your business. By creating valuable content, you will be SERVING your audience by giving them the solution to their problems upfront, at no cost. If you’re in health & wellness, you can create tips and tricks on losing weight, increasing energy, meal plans, etc. If you’re in personal development, you can create tips and tricks on mindset, success, happiness, gratitude, creating an extraordinary life, etc. The more value you add to your audience, the more they will love you and will get closer to wanting to learn more about your business, buy from you, or sign up as a new rep. There are literally hundreds of ways to create content, but some ways include doing Facebook Lives, pre-recorded video content, blog posts, Instagram, and Pinterest. As you’re growing your audience, creating content, and building relationships & trust, you can then start connecting with people personally (yes, on the phone or Skype) by offering free 1-on-1 coaching calls, or using a lead generating capture page so people can make an enquiry to learn more about your business and/or products. Connecting with people personally is amazing because it takes relationships to the next level, and you’ll sign up A LOT more people just for jumping on the phone with them. Almost always, you’ll have people that have taken a look at a video presentation (or been to an event) about your opportunity, products or services, but they haven’t decided to buy yet – they’re on the fence. When you have people in the pipeline, a great way to get them over the line is by putting together an irresistible offer. The goal is do add SO MUCH value, that it won’t make sense to NOT get started. They’ll jump right off the fence and sign up because they won’t want to miss out on your offer. The offer could be anything, as long as it adds massive value, helps them to get a result, and is in alignment with whatever you’re selling. For example, it could be a couple of free 1-on-1 coaching calls, free Facebook Profile Reviews, a free book (or 2), a free meal plan, a free ticket to an event, etc. Of course, you gotta get creative with offers. But when you add promotions into the mix of business building activities, that’s when your business will take off and you’ll sign up 5+ new members within 7 days. If you enjoyed this post on MLM Recruiting Secrets, feel free to share.